A few weeks ago, two young children in Franklin tragically died after becoming trapped in a defective wooden hope chest during a game of hide and seek. We follow reports of defective products carefully, and we now share some of the January product recalls issued by the Consumer Product Safety Commission (CPSC). That agency is charged with protecting the public from unreasonable risks of injury or death associated with consumer products. Britax recalled 225,000 strollers last week due to the stroller’s folding mechanism, which poses a risk for partial fingertip amputation. The company had received eight incident reports, including one partial fingertip amputation, one broken finger and severe finger lacerations. 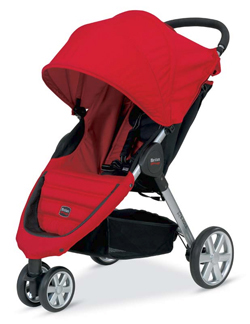 Consumers are advised to stop using the recalled strollers immediately and contact Britax for a free repair kit. The recall involves these models: Britax B-Agile, B-Agile Double and BOB Motion Strollers. They were sold at major retailers and juvenile product stores nationwide from May 2011 through June 2013. They were also sold through Amazon.com, ToysRUs.com and other online retailers. They sold for between $250 and $450. In recent years, Maclaren USA has also recalled strollers with hinges which posed an amputation risk. In 2009, Maclaren USA recalled one million strollers after 12 reports of fingertip amputations and three other incidents. The company re-issued the recall in 2011. By that time, it had received a total of 149 reports, including 17 reports of fingertip amputations and other injuries, including lacerations and fingertip entrapments/bruising. There were two recalls related to pacifiers this month. On Jan. 22, Playtex recalled 1.25 million pacifier holder clips in the U.S. and 150,000 in Canada. These clips attach the pacifier to clothing, diaper bags and strollers. Playtex received 99 reports of the holder cracking or breaking. No injuries have been reported. Consumers are advised to stop using the product and contact Playtex for a full refund. Last week, Fred & Friends recalled three models of its “Chill Baby” pacifier line, including 183,000 in the United States and 17,000 in Canada. The pacifiers have novelty features which can detach and do not meet federal safety standards. No injuries have been reported but consumers are advised to stop using the pacifiers and return them to Fred & Friends for a $12 refund. In September, Gree recalled 2.2 million dehumidifiers under 12 brand names because they posed a risk for fire and burns. It expanded this recall last week, adding another 350,000 dehumidifiers under the GE brand name in the U.S. and 2,700 in Canada. The company had received 16 reports of incidents, including 11 reports of overheating with no property damage and 5 reports of fires associated with $430,000 in property damage. The previous recall was associated with more than 71 fires and $2,725,000 in property damage. No injuries have been reported. These dehumidifiers were manufactured by Gree Electric Appliances of China and imported by GE Appliances of Louisville, Kentucky. They were sold from April 2008 through December 2011 at Sam’s Club, Walmart and other stores in the U.S. and Canada. They were also sold on Amazon.com and Ebay.com. They sold for between $180 and $270. Consumers are advised to stop using the dehumidifiers and contact Gree for a refund. Walmart recalled its Mainstays five-piece card table and chair set earlier this month because the chairs can collapse and may pose a risk of finger injury, including amputation. The retailer received 10 reports of injuries, including one finger amputation, three fingertip amputations, sprained or fractured fingers and one report of a sore back. These table sets were sold in Walmart stores and online from May 2013 through November 2013 for about $50. On the bottom of the chairs, they have a label which reads: “Made by: Dongguan Shin Din Metal & Plastic Products Co,” or “Made by: Taiwan Shin Yeh Enterprises”, is printed on a white label on the bottom of the chairs. Consumers are advised to stop using this product and return to Walmart for a full refund. Consumer Product Safety Commission website. Strollers Recalled by Britax Due to Partial Fingertip Amputation Hazard, CPSC. Gree Expands Dehumidifier Recall to Include GE Brand Dehumidifiers Due to Serious Fire and Burn Hazards, CPSC. The Boston product liability lawyers at Breakstone, White & Gluck have over 100 years combined experience representing individuals who have been injured by negligence. If you have been injured, learn your rights. For a free legal consultation, contact our attorneys at 800-379-1244 or 617-723-7676 or use our contact form.